Syria conflict: Russia Sends Missile System to Tartus Base – Coercion Code – "Dark Times are upon us"
Why are Aleppo’s children so badly affected? Russia has confirmed it has sent an S-300 air defence missile system to its naval base in Syria’s port of Tartus. Defence ministry spokesman Igor Konashenkov said the purpose of the system was to guarantee the security of the base from the air. The move comes amid growing tension with the West. 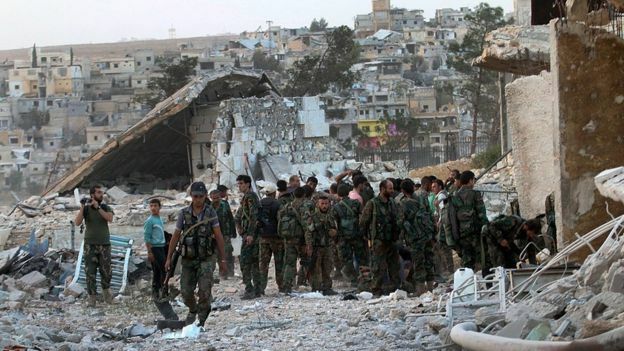 On Monday, the US halted talks with Russia on trying to co-ordinate air strikes against jihadists. A ceasefire brokered by Washington and Moscow collapsed last month. “Let me remind you that the S-300 is a purely defensive system and poses no threat to anyone,” Maj-Gen Konashenkov said. The spokesman said the system was similar to one earlier deployed at sea on the cruiser Moskva. 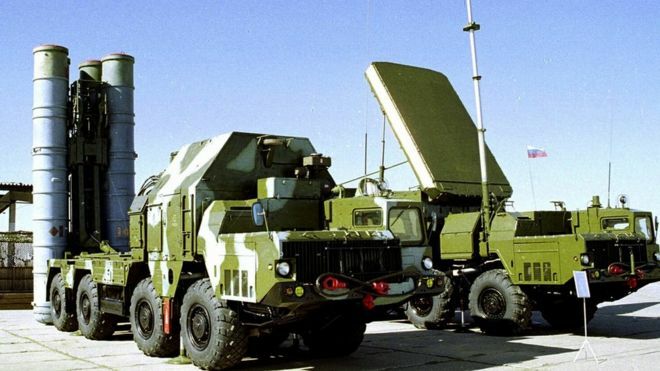 The deployment of S-300 surface-to-air missiles (known to Nato as the SA-23) to Russia’s naval base at Tartus is the first time Russia has deployed the system outside its own territory. It joins another sophisticated anti-aircraft system, the S-400, already in place at the Russian air base near Latakia. The S-300 is highly mobile – its radars, launchers and command systems carried on a number of vehicles. It can be mounted on a heavy wheeled launcher as well. It is one of the most lethal area defence systems ever developed intended to engage aircraft, cruise and ballistic missiles. Its deployment indicates that Russia is significantly bolstering its air defences in Syria. This is a clear signal to Washington that there would be a heavy price to pay should the US be tempted to intervene in some way against Russian or Syrian operations. On Monday, the US said it was suspending talks with Russia over Syria, accusing Moscow of having “failed to live up” to its commitments under the ceasefire deal. Washington blamed Russia and the Syrian government for intensifying attacks against civilians, including rebel-held areas in eastern Aleppo. State department spokesman John Kirby said Moscow and Syrian President Bashar al-Assad’s troops had been “targeting critical infrastructure such as hospitals and preventing humanitarian aid from reaching civilians in need, including through the 19 September attack on a humanitarian aid convoy”. Responding to the suspension of the talks, Russia said it regretted the US move, accusing Washington of trying to shift blame for the collapse of the ceasefire. The US also said that it would withdraw personnel “that had been dispatched in anticipation of the possible establishment of the Joint (US-Russian) Implementation Centre”.